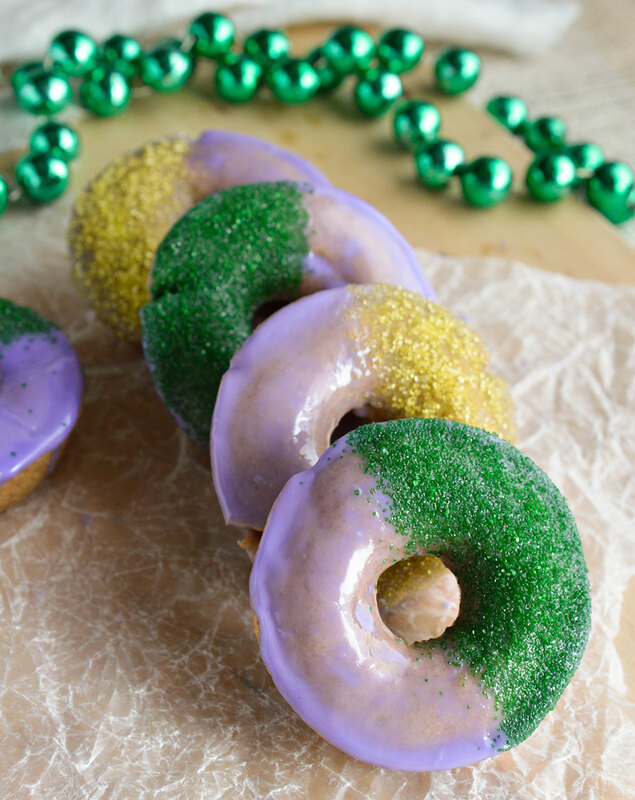 Just in time to celebrate Mardi Gras, these Baked Cinnamon Doughnuts will get the party started! 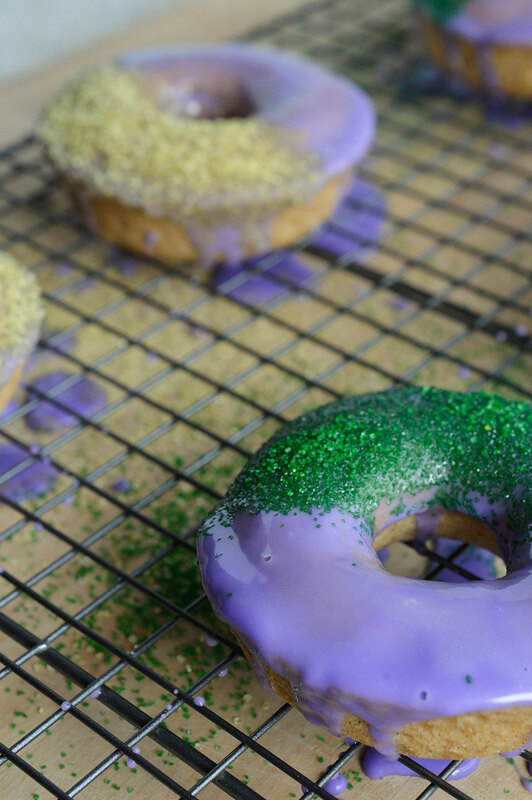 Inspired by the famous New Orleans King Cake. 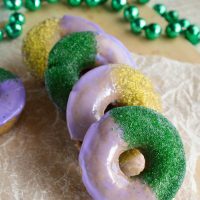 These dairy free cake donuts are flavored with cinnamon and decorated with traditional Mardi Gras colors! 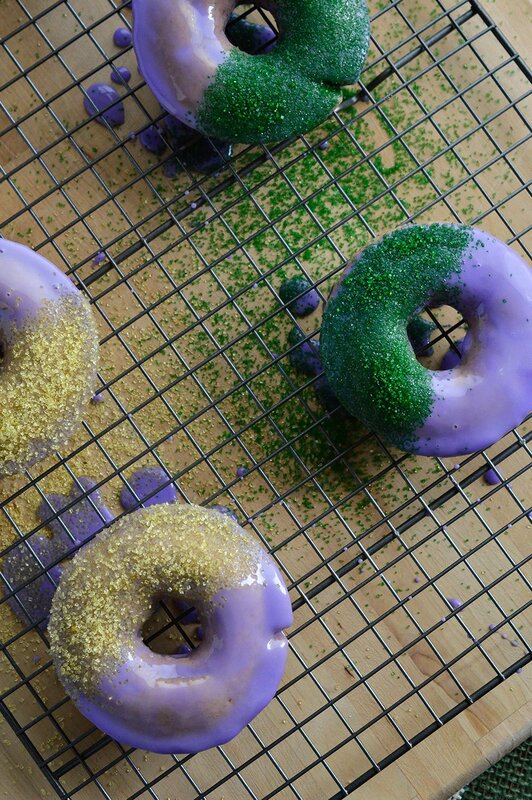 While I made these donuts for Mardi Gras. They can be decorated in any colors that you prefer. Pink glaze dipped in red sprinkles would be cute. Or white glazed donuts dipped in red and blue sugar for a patriotic donut. The possibilities are endless. Or, ahem, cream cheese glaze for an Awesome cinnamon bun donut. Of course, don’t do that if you want these donuts to be dairy free. Yes. You read that right. These Baked Cinnamon Doughnuts are dairy free! New Silk Cashewmilk is the secret ingredient. It is extra thick and creamy making it the perfect replacement for butter and milk that would usually be in a donut recipe. 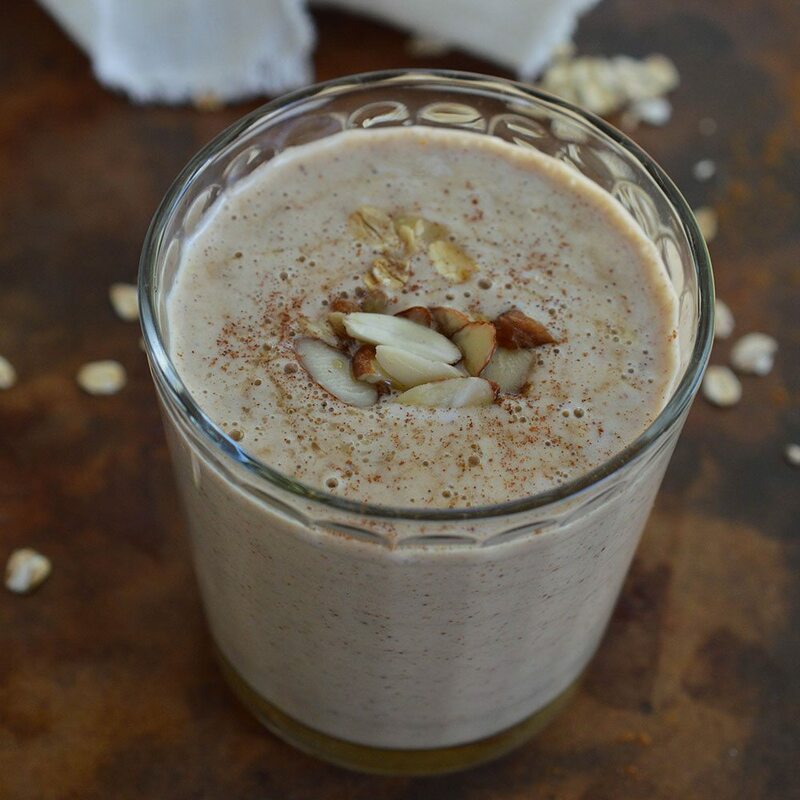 Silk Cashewmilk creates the perfect match between creamy and delicious with fewer calories! New Silk Cashewmilk has 50% more calcium than dairy milk with only 60 calories per serving! So switching to Silk is an easy way to start adding more plants to your diet. Sign Up for the Silk Newsletter to receive deals, coupons and more!!! You may not be able to make the trip to the French Quarter for Mardi Gras. But you can make these fun and festive donuts! Mix flour, baking powder, salt and cinnamon. Set aside. Mix egg, sugar and cashewmilk. Transfer batter to donut pan sprayed with nonstick. Mix powdered sugar, cashewmilk and food coloring until smooth. Dip cooled donuts into glaze and return to rack. While glaze is still wet; hold piece of foil over half of donut while sprinkling colored sugar on the other half. Refrigerate donuts for 5-10 minutes to allow glaze to set. More Silk Milk Goodies. . . These doughnuts are so fun and festive. 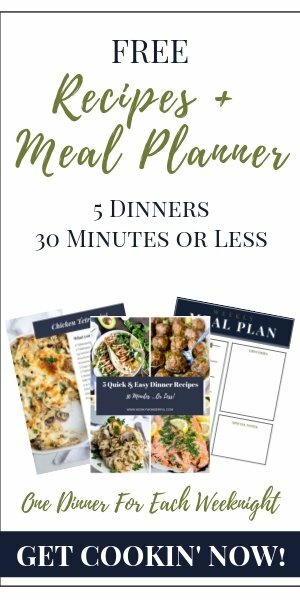 I love how easy the recipe is too! These are so awesome, so perfectly made, you rock! I recently discovered Cashew milk and I am officially obsessed with it! I love that milk, but I love these donuts even more!! So pretty. Made this tonight! They are fabulous!!! 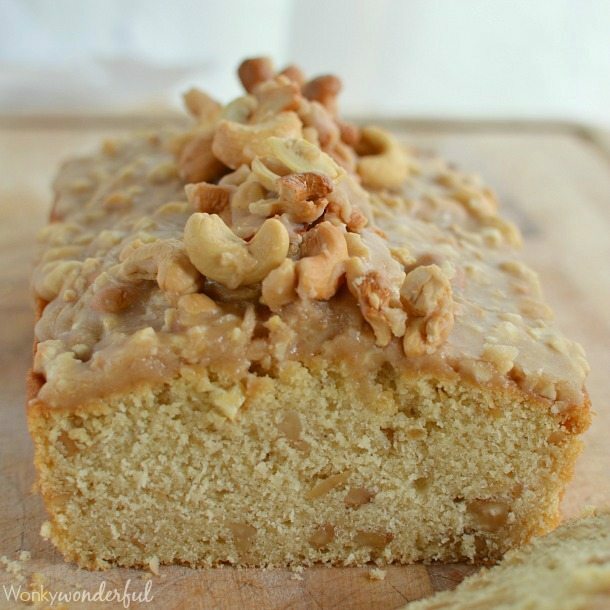 Thanks for sharing such a great recipe! 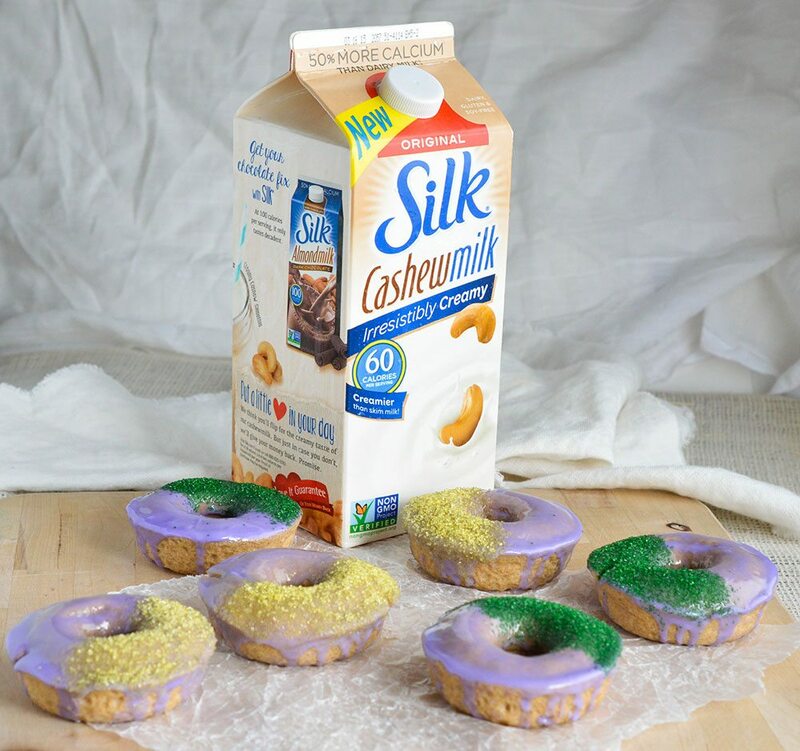 Oooh, I need to try CashewMilk, and I need to try these donuts! They are adorable and perfect to have fun customizing for any occasion! These are so fun!! Love all the bright Mardi Gras colors! 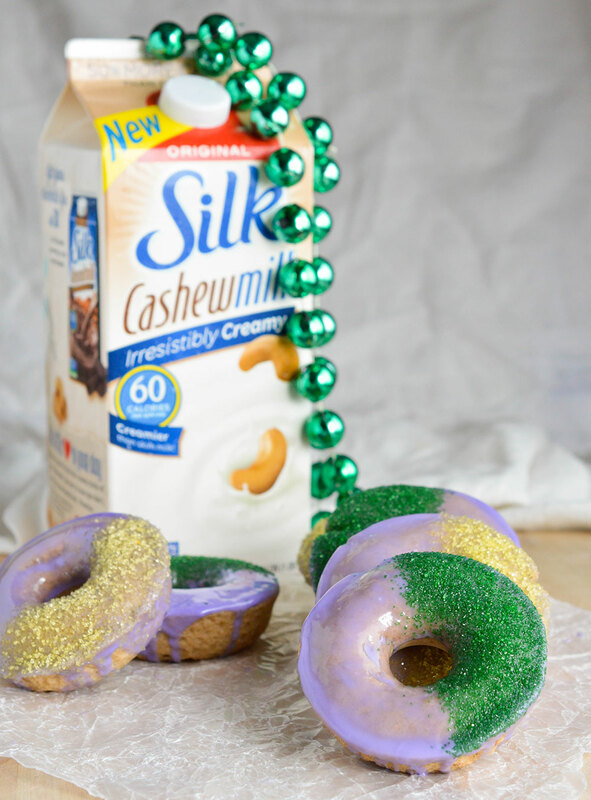 Mardi Gras may have been yesterday, but that won’t stop me from eating these dairy free doughnuts! 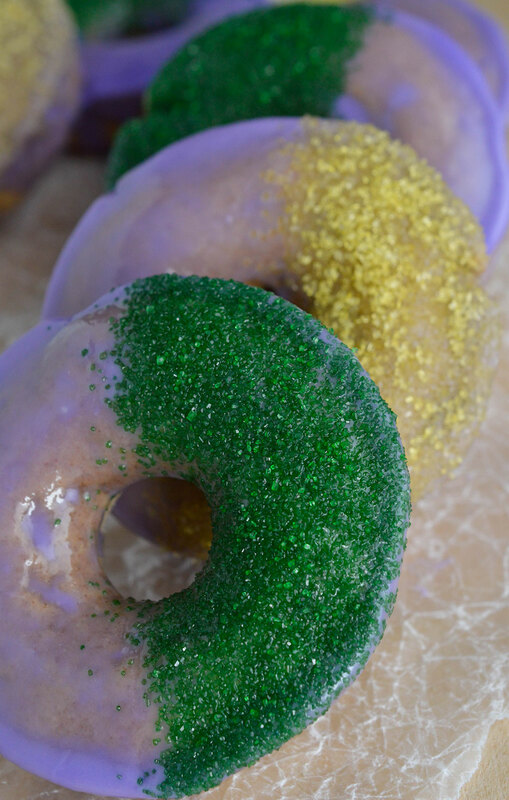 I can’t believe I missed eating these on Mardi Gras! However, it won’t stop me from eating them yearround! 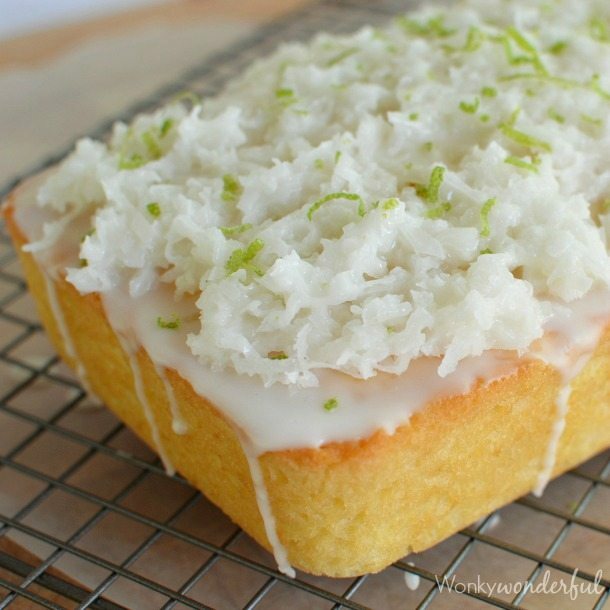 They look so moist and delicious!